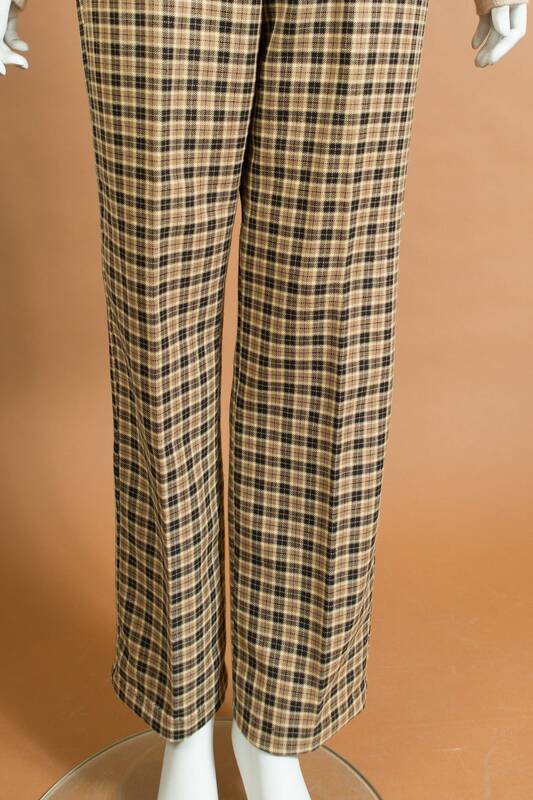 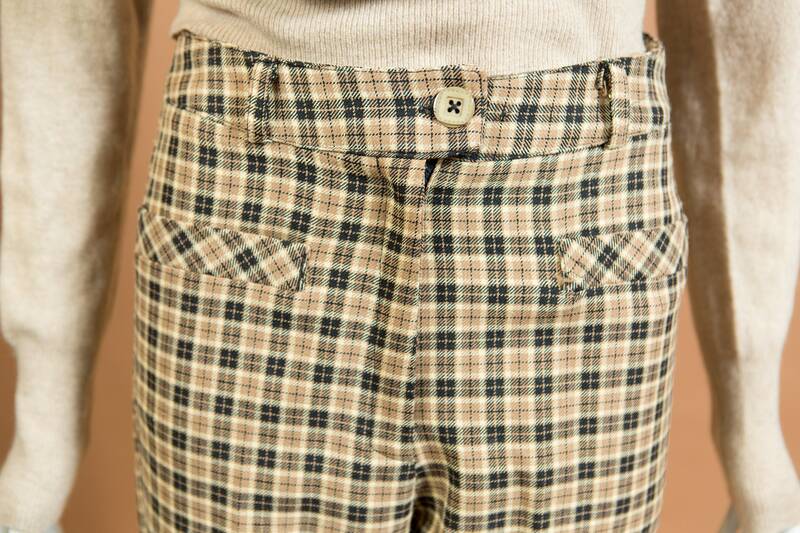 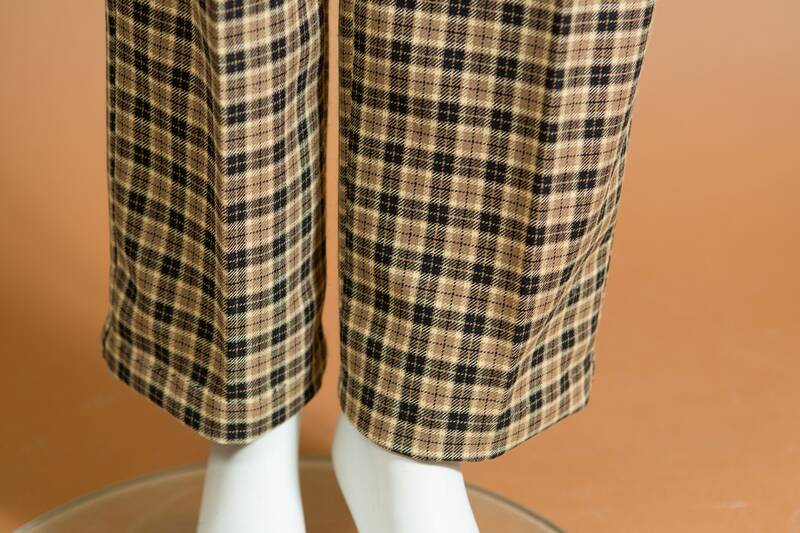 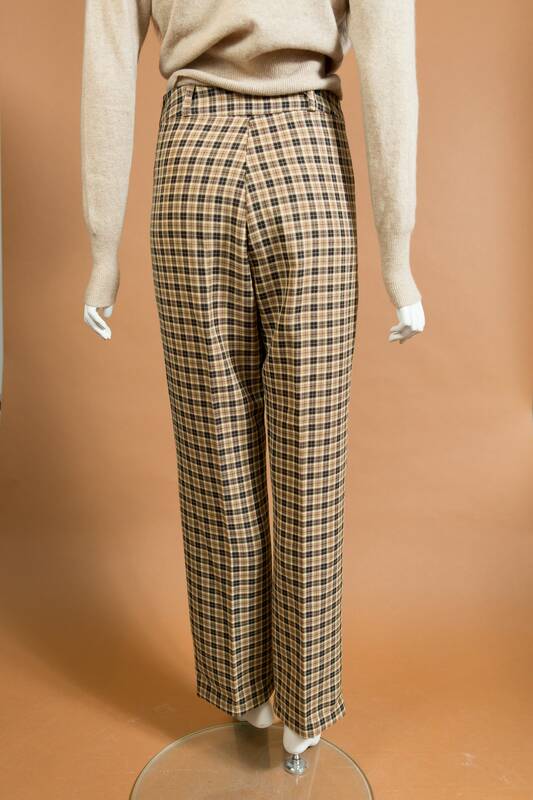 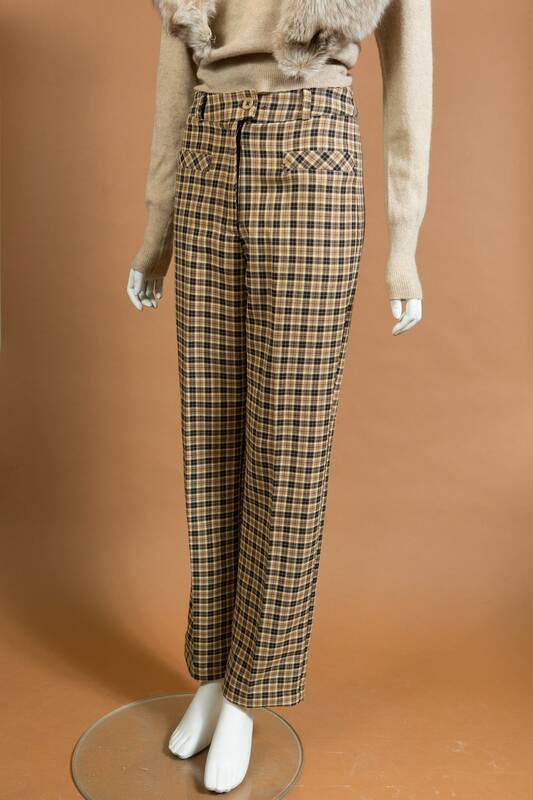 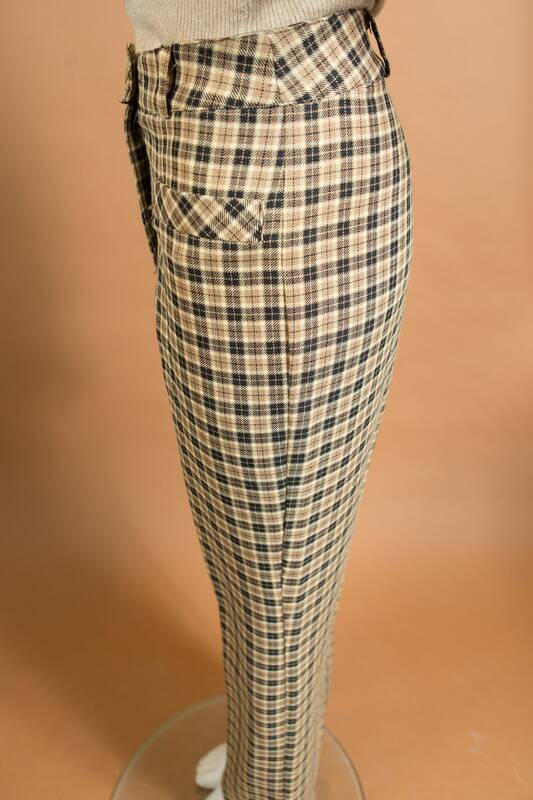 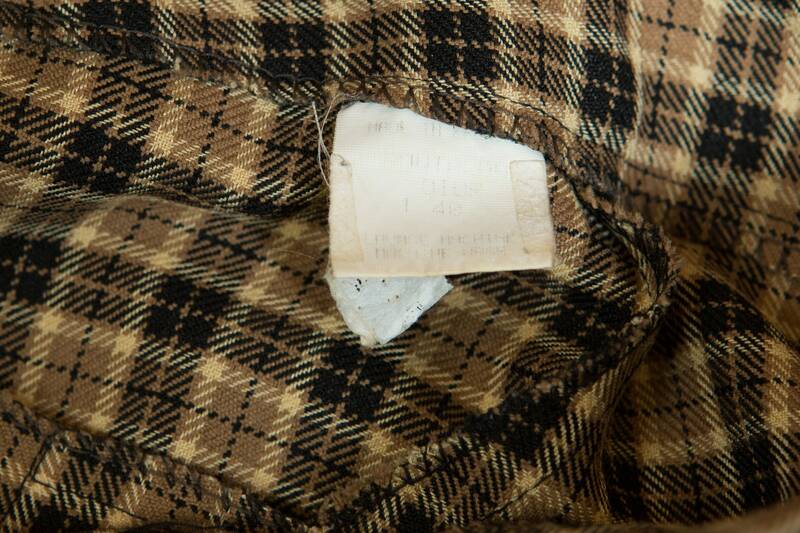 This is a fantastic pair of vintage brown plaid trousers. 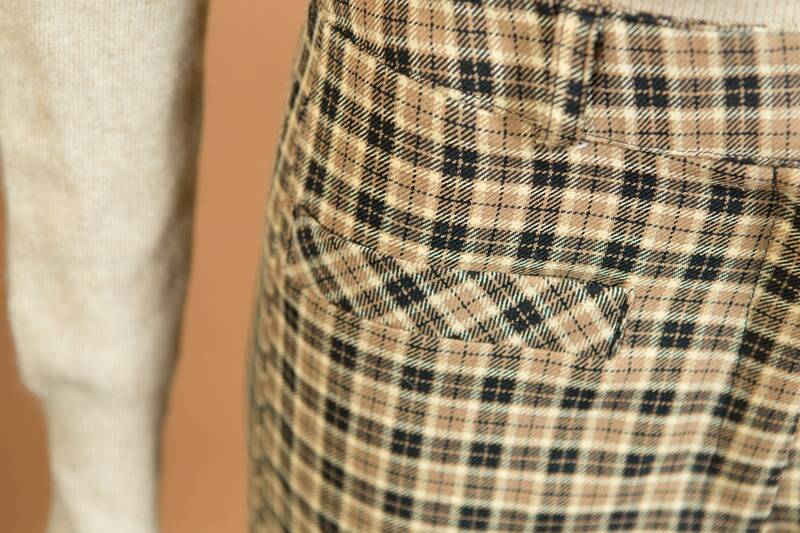 Has front pockets that have been sewn shut. 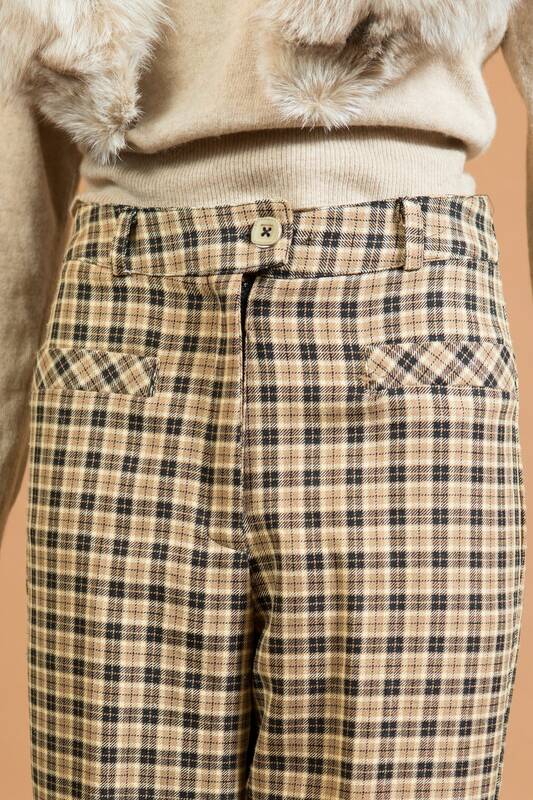 Thread can be removed to have functional pockets.